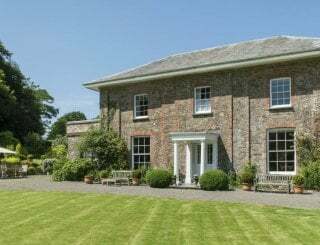 Little Barton Farmhouse and Cottage, Hartland, Devon, sleeps 6-16 in 9 bedrooms. 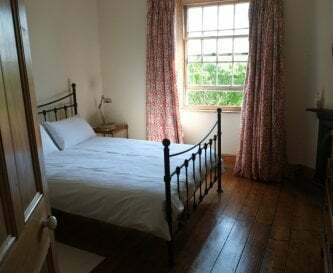 Little Barton Farmhouse is a large Victorian family house retaining most of its original features, surrounded by unspoilt countryside, There is an additional cottage in the courtyard of traditional stone/slate buildings to the rear of the house. 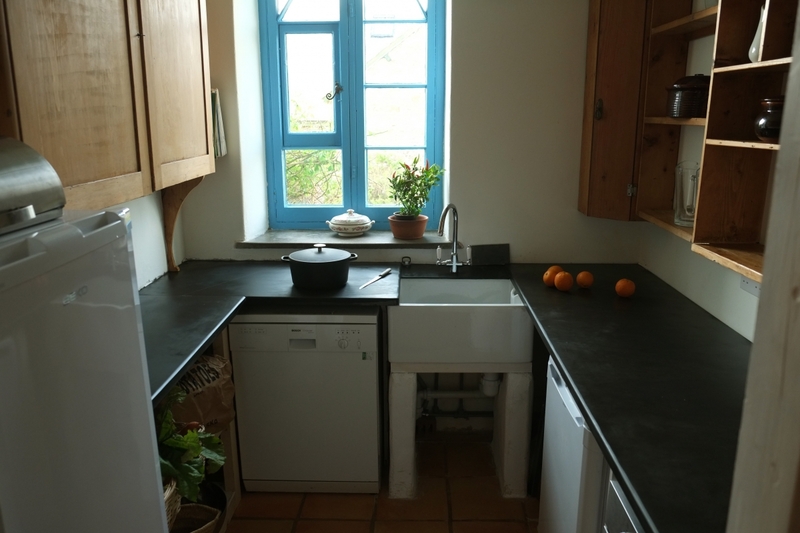 The houses can be rented separately, or together. Both have wonderful sea views. 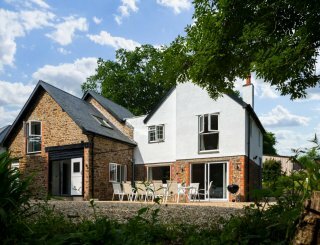 Together, the houses work well for family holidays and as a venue for retreats, workshops, green celebrations & small weddings. 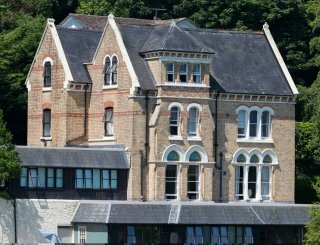 Stag & hen weekends also work well, with lots of activities to choose from, locally. 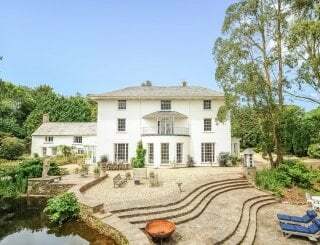 You can hear the sea at high tide from the large gardens. The SW coast path is only 25 minutes walk away. 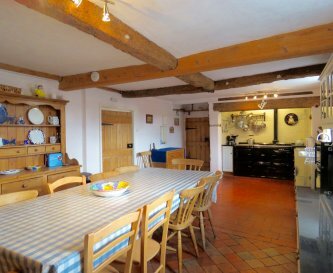 The Farmhouse has a kitchen equipped to cater for 16+ and a table which can seat 16. 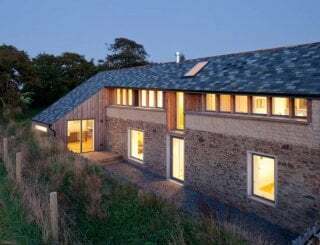 Both houses are run on organic principles, with their own water supply. No smoking is allowed inside the buildings. 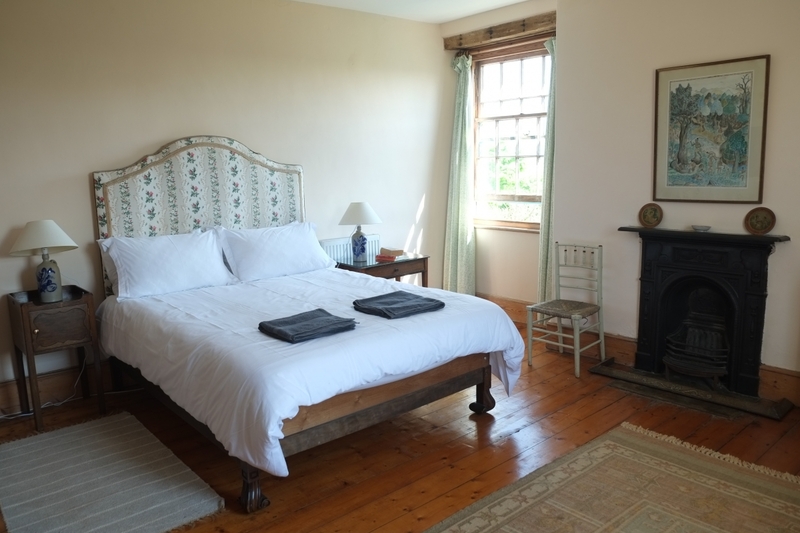 The farmhouse on its own sleeps 10 and the cottage 6. 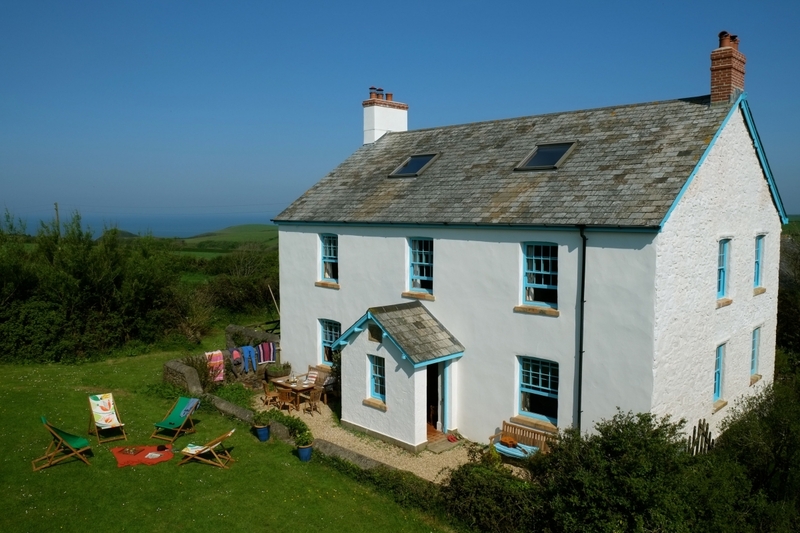 Lots of space inside and out and panoramic sea views from the upstairs windows in both houses. The original 45ft barn has a full sized ping pong table and has seating for 60. A Moroccan-style loft leading off the barn, for additional hire, can seat 24 for informal dining. 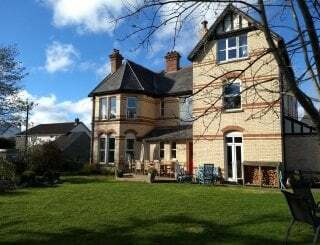 It is possible to hire a Parish Hall 15 mins drive away for dance/movement workshops. 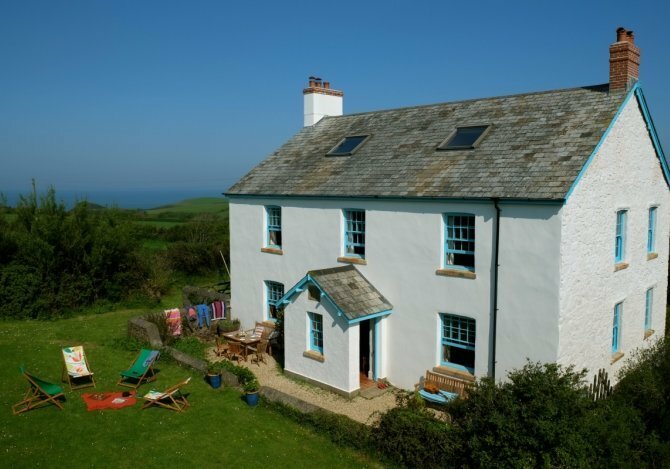 Set in the Hartland Peninsula, in an area of 'Outstanding Natural Beauty', Little Barton is surrounded by pasture and unspoilt landscape with magnificent views of the Bristol Channel and Lundy Island on one side and the Atlantic on the other. The South West Coast Path and Speke’s Mill Mouth beach are just a short walk away. The area is ideal for people who enjoy swimming, surfing and walking. 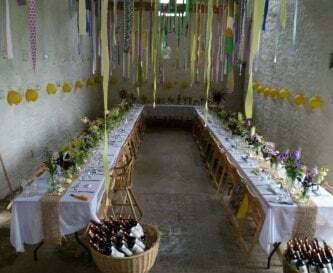 A wide range of locally sourced, seasonal food is available in the area, with a Farmer’s Market in the Parish Hall on the first Sunday of the month. Organic and S Asian catering can be arranged. 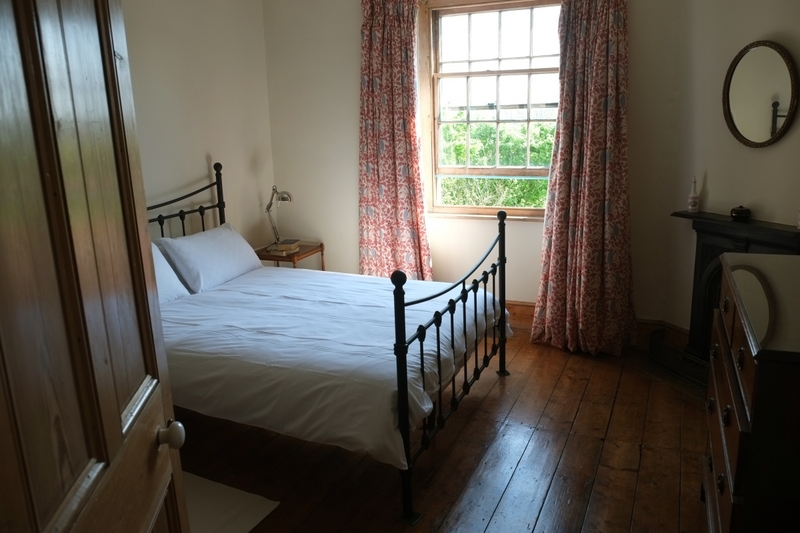 Please look at our website and at Little Barton Hartland Facebook for more information/photos of the surroundings. F/hse: long table in red s/room seats 16+, next to open fire. Round table in kitchen for 8/10. Cott: kitchen table for 6. Moroccan style loft 24. 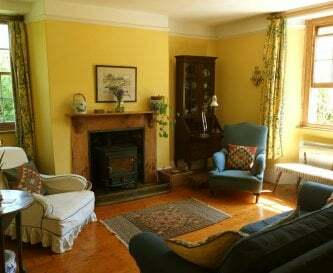 F/hse: 2 south facing sitting rooms, 1 with wood burner and 1 with open fire. 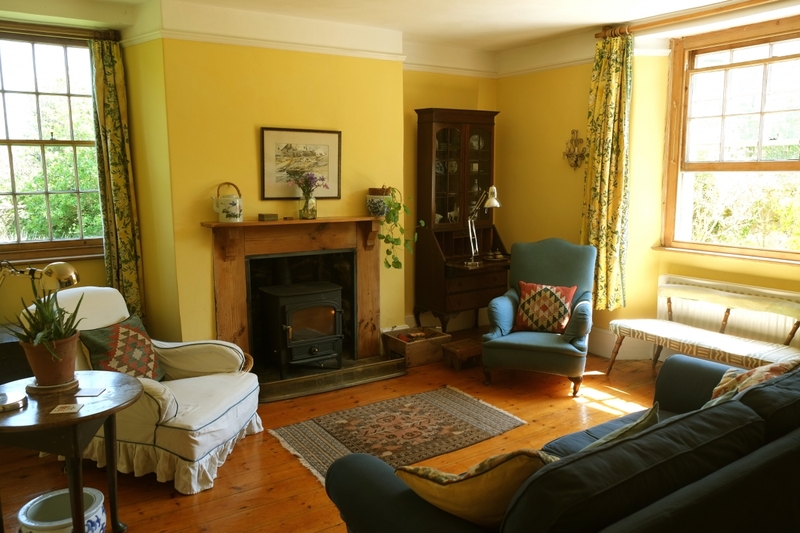 Cott: sitting room with Clear View wood burner. Lots of books. Flat screen TVs/DVDs in both houses. Fhse: radio/CD player + radio. Cott: radio. Tuned pianos in both houses (old and battered!). Free BT WiFi in both houses. Landline telephone for incoming/emergency calls in Farmhouse only. 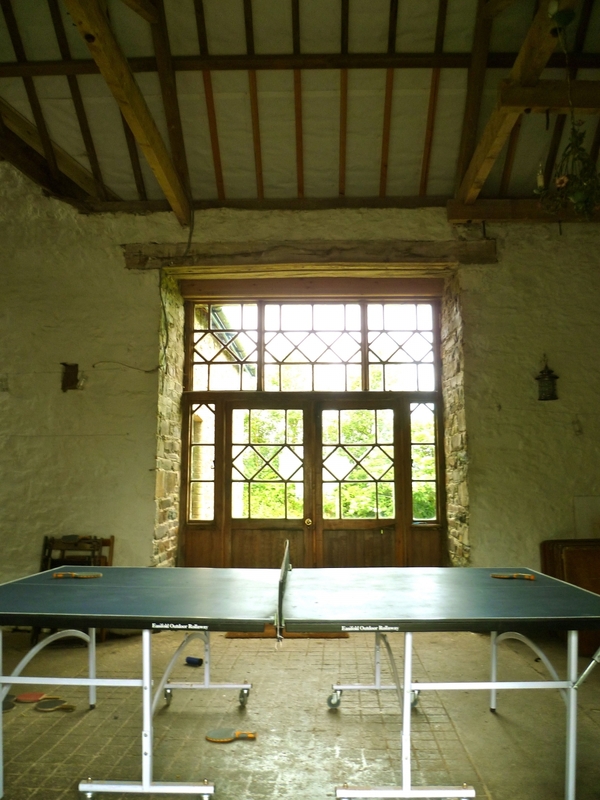 45ft traditional barn with ping pong/badminton. 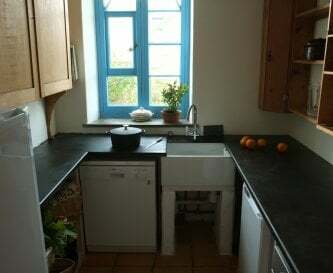 Moroccan style loft (hired separately) for informal dining for 24. Tables + chairs for up to 80. 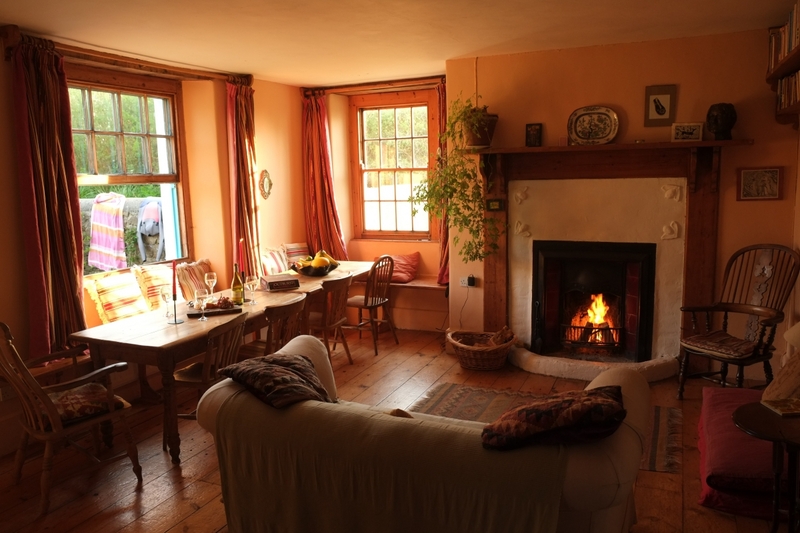 Full modern central heating in both houses. 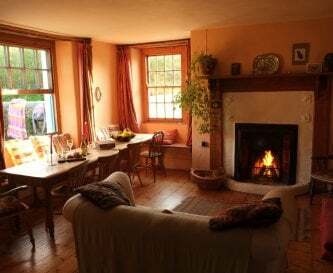 Wood burner and open fire in the farmhouse, Clear View wood burner in the cottage. All linen, bath towels & tea towels provided. Please bring beach towels. Farmhouse: upstairs family bathroom, downstairs large shower bathroom. Cottage: downstairs family bathroom with shower over bath. Please ask before bringing visitors with specific needs. Downstairs bedroom next to a bathroom in the farmhouse. Old fashioned houses! Lots of space for outdoor games, rounders etc. Board games/DVDs indoors. 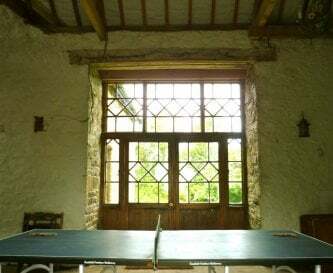 Big barn to play in: ping pong/badminton. 3 cots, 2 high chairs. F/hse: large enclosed garden. Cott: large garden. Simple BBQ, dining area with tables and chairs in both. Wildflower meadow with path. Green lane. No swimming pool, but there is a beach within 10 mins drive. Wonderful high tide swimming at Hartland Quay. Parking for 6 cars, with overspill on grass verge of track. Max parking: 18 cars in dry weather. No smoking anywhere inside buildings. By arrangement. (Sorry, no cats because of the local wildlife). 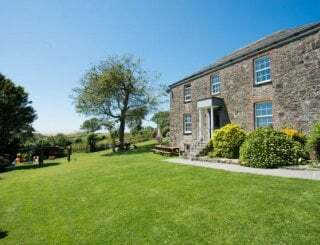 Little Barton is down a long green lane in a truly rural location with spectacular views. 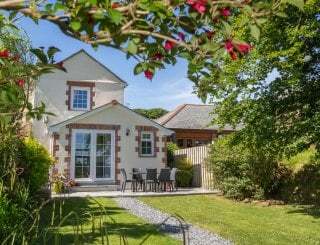 25mins walk to the SW Coast Path, 10 mins drive from Hartland Quay, Lots of choice of beaches and walks. Hartland village is 3 miles away and has everything you need. Bude is 13 miles away, Bideford 15 miles. Sainsbury will deliver from Barnstaple and Waitrose from Holsworthy. Hartland, 10 mins by car or 30 mins walk: The Pop In: general groceries/alcohol, PO, The Shamrock greengrocers. Patsy + Leighton's wall for fresh veg (5mins) and Clovelly Ct garden for veg (15mins). 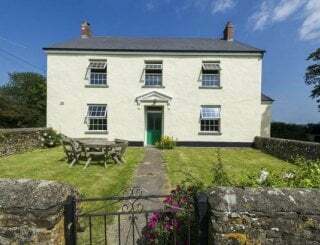 The Hart in Hartland is an award winning pub (4 miles/ 30 mins walk). Hartland Quay Hotel: 40 mins walk. 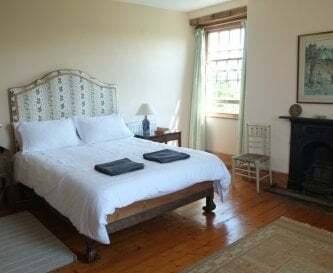 Please contact for individual pricing for the Farmhouse or Cottage (from £160 a weekend for 2 in the Cottage, low season). Friday changeover. Ret. deposit against damage/additional cleaning : £250 f/hse only, £400 f/hse & cott. Wkend visitors don't need to leave till 4pm. Barnstaple (change in Exeter) 25 miles away. 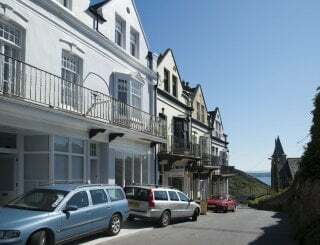 There are buses from Bideford and Barnstaple to Hartland, which is 10 mins drive away (or 30 mins on foot). Bristol (2.5 hrs away). Exeter (1hr 45 mins away). Long wkends for 10: 26/4 : £1000 Short weekend £800. Week £1450. 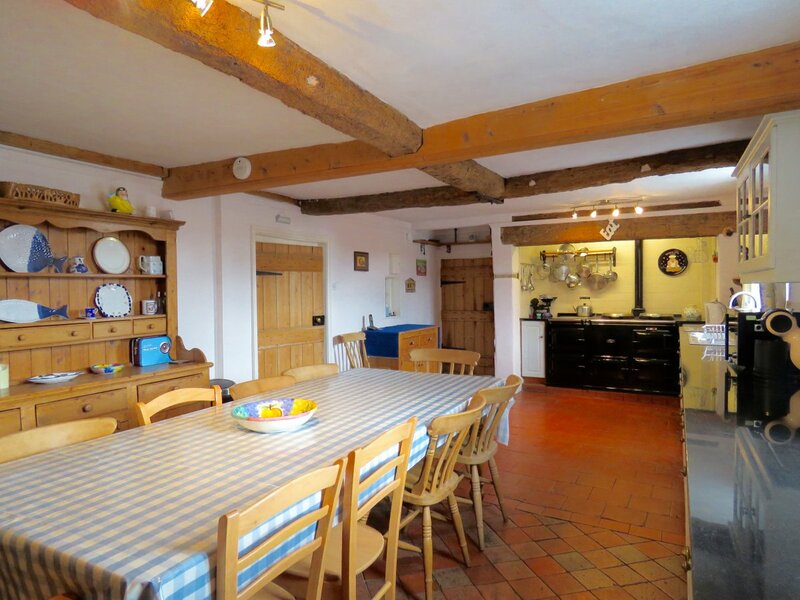 Farmhouse (sleeps 10) reduced to £1950, Cottage (sleeps 6) reduced to £900.